At T. F. O’Brien we pride ourselves on our customer service and our attention to detail. We try to go above and beyond on every project, and we think our customers notice a difference. We’re proud to receive awards and accolades, but nothing makes us more proud than the nice things our customers say about us. T.F. 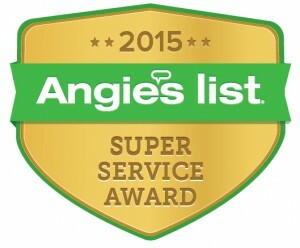 O’Brien is an Angie’s List Super Service Provider! We guarantee excellent service, but you don’t have to take our word for it. Our customers were so satisfied, their ratings and references qualified us for an Angie’s List Super Service Award, an honor enjoyed by less than 5% of the service providers rated on the site! See Angie’s List for references. T.F. O’Brien is a 2011, 2013 & 2014 Carrier® President’s Award> winner. We serve on the board of our local NARI Chapter. Our customers have wonderful things to say about us.